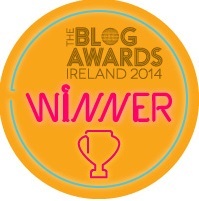 Back in November, I was lucky enough to win a giveaway on Mollymoo.ie for a voucher for Toddlerland.eu to the value of €180! Of course, I couldn’t wait to spend it – so… I didn’t! Now, the majority of the products on Toddlerland.eu are geared towards younger children. And we’re past the stage of needing new buggies or weaning utensils, or changing bags. So I didn’t feel obliged to spend the voucher on necessities! I got to splurge it instead! And one of my very first picks was the Tessell Play Mat. I’d never seen anything like it before! And I don’t understand why, because it is just such a good idea. 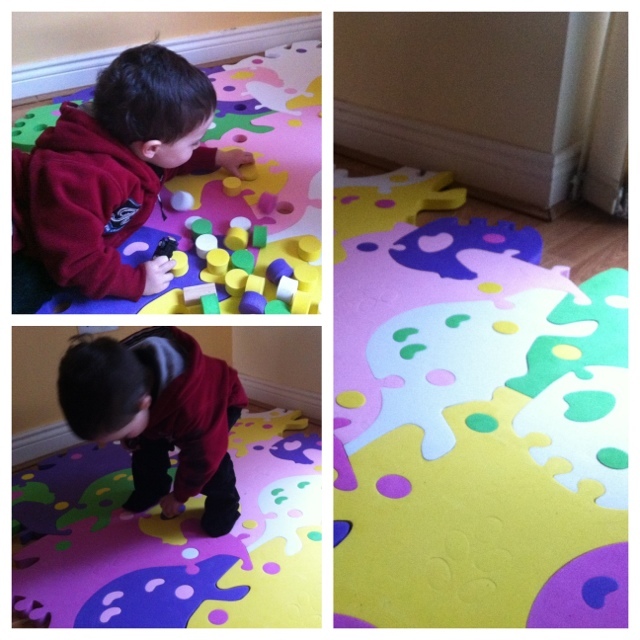 It’s a thick, foam playmat that also pieces together to become three separate toys – a chicken, a turtle, and rocking horse (or dragon if Little Man is right!). Innovation aside, the quality of this product is astounding. The foam pieces are super-thick – they look to be about an inch thick, and they feel twice as strong as the normal alphabet-type foam floor puzzles that you can buy in baby stores and toy stores here in Ireland. The day we received the Tessell Play Mat in the post, we put the animals together first. It took a while to pop out all the circular shapes to make the holes for the supporting poles. Once we pieced the animals together, I couldn’t believe how sturdy they were. I could easily stand on the turtle’s back, and have it support my weight. In the intervening weeks, the circular pieces got a lot more use than I expected. As it turns out, they make fantastic stacking blocks – perfect for competitions to see who can build the tallest tower. They’re bright, colourful, and lightweight, and very attractive to the toddler eye! Finally, last week, we got a chance to put the playmat together. First we pieced all the animals together – which was quite a puzzle! And then we had to pop all the circular pieces into place. Little Man had great fun doing this. Right now, it’s the flooring in the corner of our sitting room, forming a perfect cushioned base on which to sit the pop-up tent from IKEA that Little Man received from his grandmother for Christmas. As well as being kinder on the knees for poor Mammy when I get invited in to visit Little Man in the tent, it’s much warmer than the wooden floor, and I’m sorry now that I hadn’t discovered this play mat back when Little Man was learning to crawl. I have two complaints about the Tessell Playmat – both of which I realise are subjective, and many people might not feel these are valid causes for complaint! But here goes…it bugs me that you can’t build the individual animals into floor mats, rather than having to combine all three to make the puzzle. When we had made the animals, after a week or so, the rocking horse was really the only one that Little Man played with continuously. Occasionally, he sat his teddy, James the Giraffe, up on the chicken, or tried to balance on the turtle’s back, but mostly he just played with the rocking horse. And I felt that the chicken and the turtle took up a lot of space in our small house, and I found myself wishing that I could piece them together into a playmat, where at least they’d be useful! And the second thing that bugs me is that when the whole thing is pieced together, the edges aren’t even, and the rockers from the rocking horse aren’t used. For some reason, I’d imagined that they would somehow fit around the edges to give it a circular or square finish. But they don’t. Instead, they are currently stored under Little Man’s bed until we decide to convert the playmat back into the rocking animals. Overall, despite those little annoyances, this is a wonderful product. 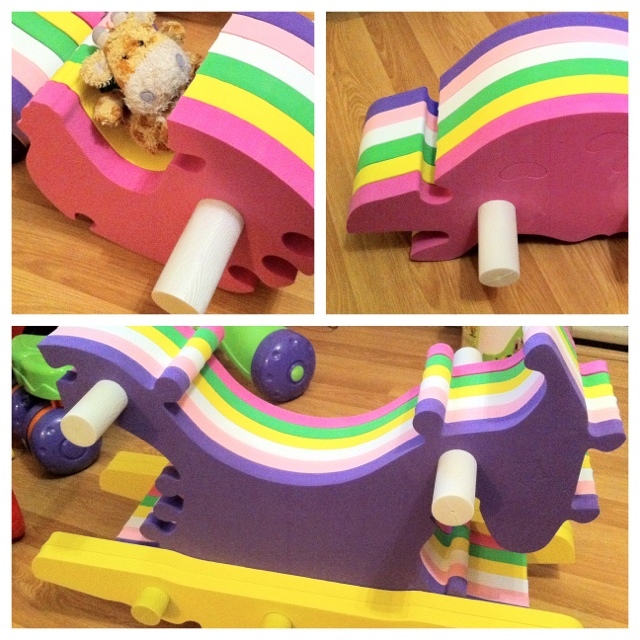 It’s sturdy and well made, and it provides lots of different opportunities for play – as a playmat, a puzzle, and toys. If you’re interested, you can find the Tessell Playmat for sale here at Todderland.eu for €65.99. A great offer from Toddlerland.eu for all Mama.ie readers – from now until Feb 28, 2013, just enter the code “dreammama” to get a 10% discount on purchases!